Colin is a Teaching Fellow in Sheffield Business School. He teaches on undergraduate and postgraduate courses, and supervises PhD students. His specialist areas include teaching excellence programmes, learning and development, people management, critical thinking, creativity and innovation, and business and the environment. 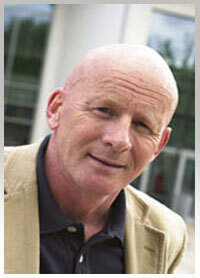 Colin is a very experienced keynote speaker delivering 55+ national and international speeches over the years. The Higher Education Academy (HEA) conference report for 2008 commented that: ‘the most frequently used word describing this keynote was inspirational. Without a doubt he won over the audience and many said it was the best keynote for ages’. Colin uses his education and training experiences to develop a series of different experiential learning and facilitation methods. Colin runs Master Classes on Experiential Learning across the globe, and specialist experiential workshops for lecturers in Universities in the UK and abroad. Feedback includes: ‘an inspirational week’ (Association of Diplomatic Studies/Foreign Service Institute (US Governmet), Professor Mark Goode, Cardiff Metropolitan University ‘the feedback from the Exectutive MBA day was excellent and so this event was repeated in 2013 & 2014. Thank you. . Also…. ‘the feedback from staff was incredibly positive – thank you’ (Blackburn College HE in FE course). Colin delivers specialist LTA programmes for lecturers. He has also given speeches on teaching and learning at many university staff conferences. His span of work includes: Helsinki University, Reading University, Abertay University; Surrey University, Queens University Belfast, Ulster University Belfast; Leeds Met University; Derby University, Heriot-Watt University, Nottingham University, Aston Business School, Portsmouth University, London City University, Worcester University, Roehampton University, Leeds Beckett, Oxford Brookes, University of St Mark and St John – Plymouth and many others. In addition Colin has worked on staff LTA development with many lecturers delivering HE courses in FE colleges . Many of his pedagogic (experiential) methods are used in these and other universities and colleges. An NTF at one university recently (August 2012) said: ‘You will be pleased to hear that your visit has resulted in a very innovative induction programme for Business and Management students, comprising a two weeks of experiential learning , starting with digital story telling, incorporating the creating conversations cards, a business case study which requires them to create a new product, and numerous other exciting things’. One university invited Colin to be a visiting professor after being inspired by his keynote speech, and staff proudly took him into new classrooms in one campus and said ‘these rooms have been designed as a result of your ideas about spaces for learning; thank you!‘ Over 30 illustrative ‘experiences’ are offered in his new book (2010) where he shows how to develop new research ideas and theoretical concepts from everyday practice. Recent examiner roles for doctoral work. 1. Sheffield Hallam University (2011). Internal examiner: Doctoral student Experiential Stories: A Discourse Analysis, D.Prof. 2. Helsinki University, Finland, 2011: PhD – Theorising on the nature of reflection. 3. Warwick University, UK, 2010: PhD – Postive teacher-student relationships in response to current Chinese educational reform – introduction of circle time in secondary schools in China. 4. Macquarie University Sydney, Australia. 2012. Personal, relational and emotional dimensions, PhD. 5. 2015 De Montford University, PhD. External Examiner. Creative Education and Creative Work. Division of Social Work & Community Development. Colin was also involved as an advisor to an exciting PhD thesis on: Nature Therapy: Developing a Framework for Practice by Ronen Berger (Israel). Beard, C (2015) Experiential learning: towards a multi-disciplinary approach, in International Handbook of Outdoor Studies, Routledge International Handbook series, Humberstone, B., Prince, H., & Henderson, K. (Eds), London, Routledge. Beard, C (2014) Mapping the Experience Journey, in (Eds) Strategic Event Creation, Oxford, Goodfellow. Beard, C. & Russ, W. (2016) Event Design: Human Experience Mapping, International Journal of Event Management, (accepted subject to revisions). Beard, C., Humberstone, B., & Clayton, B. (2014) Positive Emotions: Passionate Scholarship and Student Transformation, Teaching in Higher Education, 27 March. Beard, C & Malkki, K (2013) Student transformation and the Interaction between the Epistemological and Ontological Tracks: The Wider Project of Higher Education?, in Tirri, K., & Kuusisto, E., (Eds) Interaction in Educational Domains, Rotterdam, Sense Publishing. Beard, C (2016) Experiential Learning and Development, Keynote, The George P. Schultz National Foreign Affairs Training Centre, The Foreign Service Institute, United States Department of State, Arlington, VA., 23rd May, 2016. Beard, C (2016) Experiential Learning and Professional Development, Keynote, The First National Outdoor Educators Symposium, Ministry of Culture, Youth and Community, 10-12 May, 2016. Singapore. Beard, C (2015) Changing the Way We Understand How People Learn Through Experiences, Experiential Educators Conclave, Mumbai, 11-13, December 2015. Beard, C (2015) Innovative Pedagogies: Experiential Assessment, Teaching and Learning, Keynote speech, Taylors University Annual Learning and Teaching Conference, Kuala Lumpur, November. For a complete up to date publications list please e-mail Colin.